THE BEST 55 NEW ALBUMS OF 2015-PART FOUR. Five years after the release of their sophomore album Collab, LabField, one of the leading lights of the European improv scene make a welcome return. They returned in 2015 with their genre-melting third album, Bucket of Songs. It was released on Hubro Music. 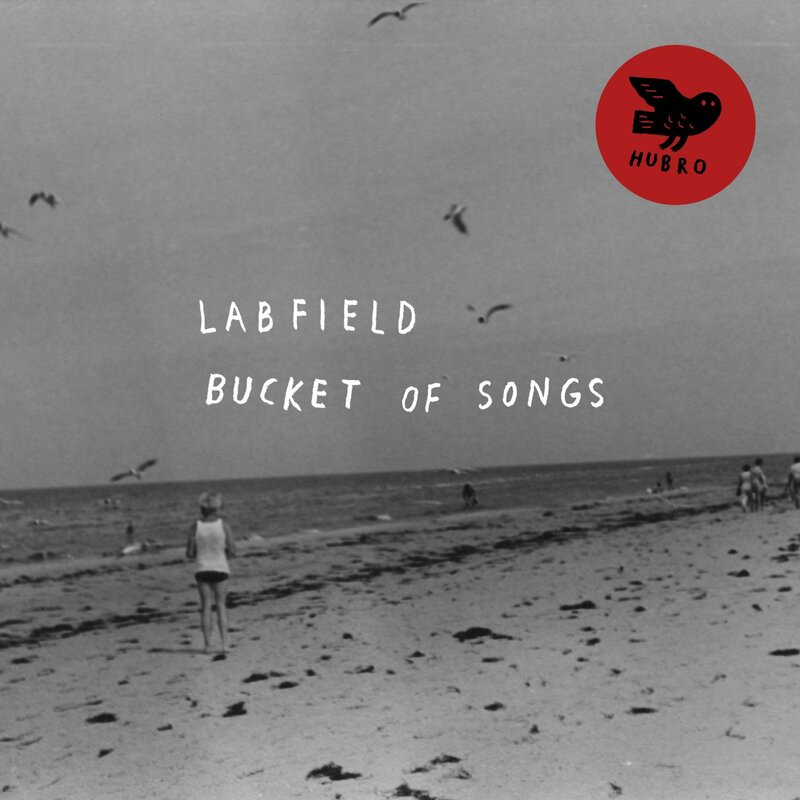 Bucket Of Songs marks the start of a new era for LabField. Not only have they changed direction musically, but Norwegian percussionist Ingar Zach had joined the band. Bucket of Songs was his debut. And what an album Bucket of Songs was. LabField combined elements of ambient, avant-garde, electronica, experimental, free jazz, industrial, Latin, post rock, pop, rock and world music. However, at the heart of Bucket Of Songs’ sound and success, was LabField’s trademark brand of improvisational music. As LabField improvise, they visit a variety of disparate musical genres. Somehow, though, this fusion of all these disparate musical genres hangs together, and make perfect sense on what’s akin to a magical musical mystery tour. LabField take their music in a new and unexpected directions. That’s why you should never, ever, try and second guess LabField. That would be impossible. They’re mavericks, and sonic explorers who manipulate sound, and take their listeners on other groups can only dream of. In doing so, LabField create music that’s variously ambitious, challenging, cinematic, dramatic, inventive, innovative minimalist and urgent. It’s also music that’s guaranteed to make you think. Sometimes, the music on Bucket Of Sounds sets your mind racing. Don’t fight it, enjoy the ride. LabField will take you to places you’ve never been before. Just let your imagination run riot. If you do, LabField will richly reward you, as you experience Bucket Of Songs’ nine captivating and groundbreaking soundscapes. LAU-THE BELL THAT NEVER RANG. Ever since the release of their 2007 debut album. Lightweights and Gentlemen, Lau have been variously described as “adventurous,” and “modern folk’s most innovative band.” That’s no exaggeration. 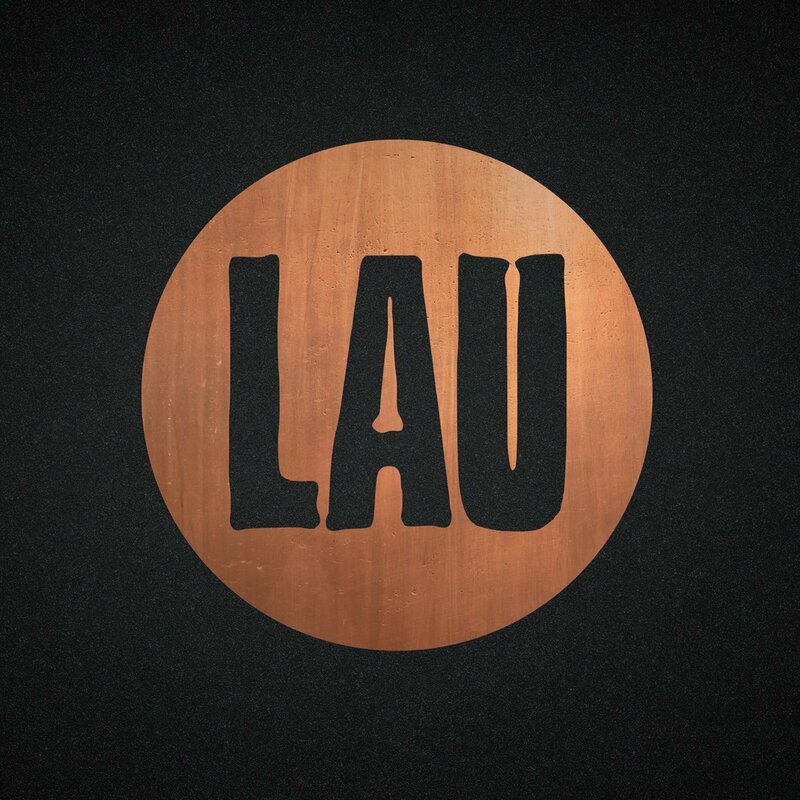 Lau are, without doubt, one of the most exciting and ambitious folk bands of their generation. That’s why Kris Drever, Martin Green and Aidan O’Rourke have been winning awards, praise and plaudits ever since. This includes winning the BBC Folk Award for the best group four times in six years. That takes some doing. However, Lau are no ordinary band. They’re pioneers and perfectionists. Proof of that is The Bell That Never Rang, which feature the Edinburgh based band at their innovative best. Lau seamlessly combine disparate musical genres. Everything from Celtic, electronica, electro, folk, indie rock and rock is thrown into Lau’s melting pot. Producer Joan Wasser sprinkles some sonic magic and then gives this musical melting pot a stir. Only then is this musical treat ready to serve. And what a dish it is. It’s one fit for a king or queen. Lau have surpassed their previous efforts with The Bell That Never Rang. It marks a triumphant return from Lau with their genre defying Magnus Opus, The Bell That Never Rang. Although it’s been three years since Miaoux Miaoux released their debut album Light Of The North in June 2012, it’s just that the man behind Miaoux Miaoux, Julian Corrie has been one of the hardest working men in Scottish music. He’s been playing live and much in demand as a remixer. So, it’s taken three years for Miaoux Miaoux to release their much anticipated sophomore album School Of Velocity. Just like Light Of The North, it was released on Glasgow’s premier label Chemikal Underground. School Of Velocity is the latest chapter in Miaoux Miaoux story. School of Velocity oozes quality. 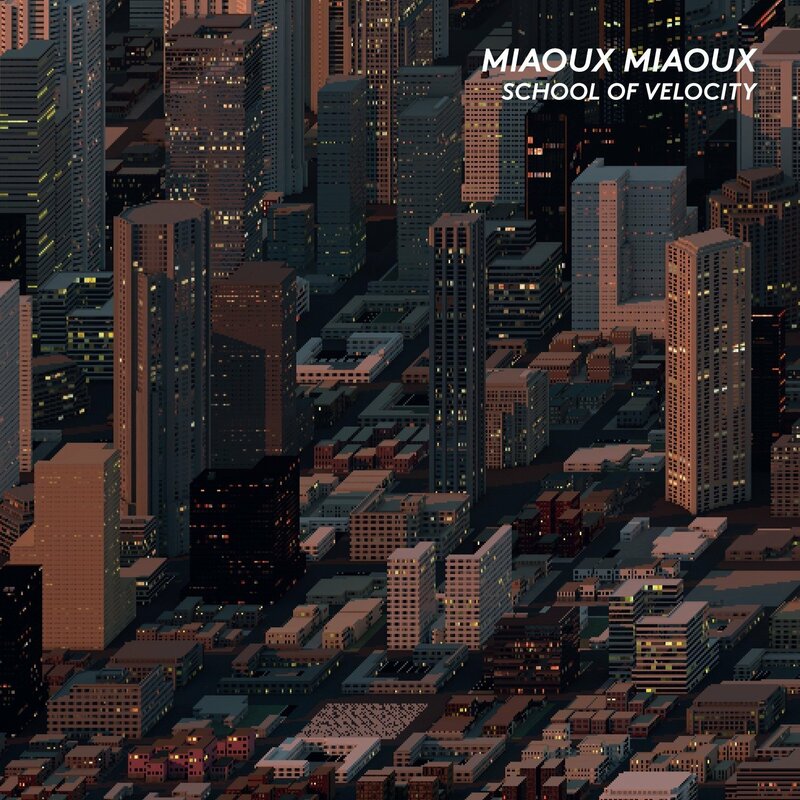 Miaoux Miaoux’s long awaited sophomore album, which was released by Chemikal Records, was part of the soundtrack to the sumner of 2015. Especially the hook-laden anthems. They’re plentiful, and went sure to go down a storm with DJs. Similarly, the anthems were festival favourites when Miaoux Miaoux plays live. The ballads show another side to Miaoux Miaoux. A reflective, rueful and sometimes hopeful and needy Julian Corrie lays bare his soul. This means there’s something for everything on School of Velocity. Whether it’s indie pop or dance music that’s your bag, then there’s something for everyone on School of Velocity, Miaoux Miaoux’s magical, musical merry-go-round that you’re sure not to want to get off. Over the last twenty years, Morten Qvenild has been at the heart of the Norwegian music scene. The thirty-seven year old pianist and keyboardist is one of the most versatile and creative musicians of his generation. That’s why, when anyone in the Norwegian music scene was looking for a pianist or keyboardist, they gave Morten Qvenild a call. This has resulted in Morten Qvenild playing on over fifty albums. However, he hadn’t released a solo album That was until he released Personal Piano on Hubro Music in September 2015. Featuring seven improvised soundscapes, Personal Piano is a mesmeric fusion that’s guaranteed to captivate and compel. Morten Qvenild takes the listener of a seven musical adventures. The sonic sorcerer throws musical curveballs, before springing a series of musical surprises. Nothing is it seems. Using a myriad of effects, sounds are transformed. They become something very different. As a result, one minute the music is dramatic, the next it’s dreamy. Other times, it becomes moody and broody. Then the next, it veers between pensive and understated, to melancholy or melodic. Constantly, the music changes direction. It’s a case of expect the unexpected. 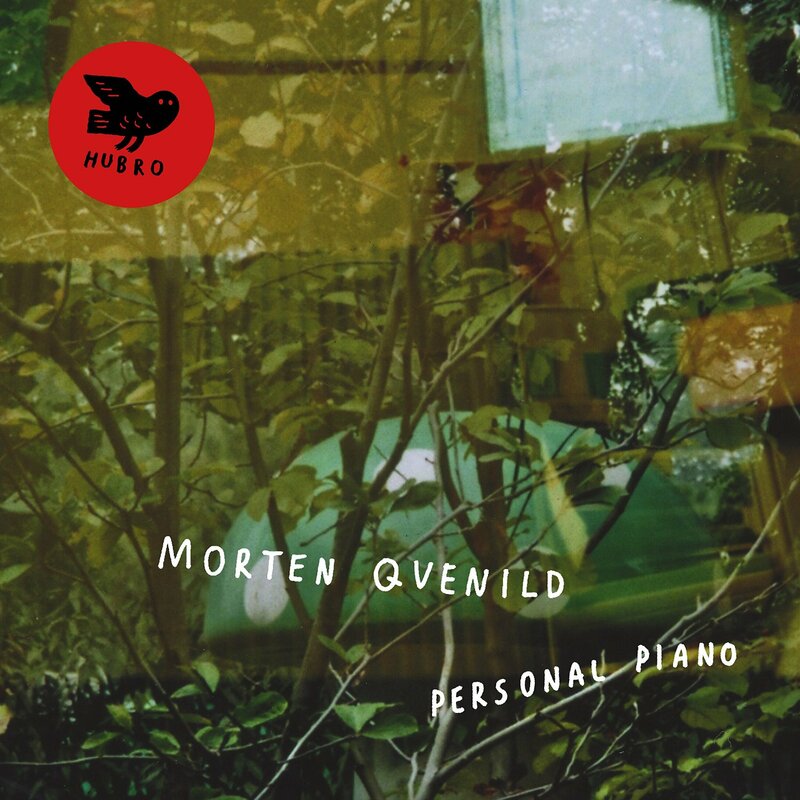 Subtleties and sonic surprises are constantly sprung, as musical sorcerer and explorer, Morten Qvenild takes the listener on magical mystery tour, while expanding his sonic palette on his long awaited, and groundbreaking debut album Personal Piano. MOSTER!-WHEN YOU CUT INTO THE PRESENT. Ever since they made their debut at the Kongsberg Jazz Festival in 2010, Norwegian supergroup Møster!’s star has been in the ascendancy. So much so, that Møster! are now regarded as one of the biggest bands in the Nordic music scene. Møster! released their third album When You Cut Into The Present in November 2015 on Hubro Music. Hard rocking, but genre-melting describes Møster! However, When You Cut Into The Present shows that Møster! are much more than a rock band. They combine avant garde, classic rock, experimental, free jazz, funk, jazz, Krautrock, progressive rock and psychedelia, with the classic Norwegian jazz sound of the sixties and seventies. It’s best describes as a fusion of Can, Alice Coltrane, King Crimson’s Red period, John Coltrane and the Nordic jazz pioneers Jan Garbarek, Terje Rypdal, Arild Andersen and Jan Christensen. Sometimes, it sounds as if Møster! have been influenced by German musical pioneers, Birth Control, Guru Guru and Neu! It sounds like the four members of Møster! have eclectic taste in music. That’s definitely the case with guitar wizard Hans Magnus “Snah” Ryan. The virtuoso seems to have been influenced by Jimi Hendrix. Sometimes, it sounds like Hans is channeling the spirit of Hendrix in the studio. Other times, Hans’ licks sound as if they belong on an Iron Maiden or Judas Priest album. Just like the rest of Møster!, Hans is a versatile and talented member of this supergroup. They’ve made huge strides on When You Cut Into the Present. The Trondheim groove-meisters have created a career defining album of hard rocking music. They kick loose from the opening bars of Nebula and Red Giant, and never let go until the closing notes of Soundhouse Rumble. In between you’re treated a glorious assault on the sensory system which unleashes endorphins aplenty. 2015 was a huge year for Hans-Joachim Roedelius, who co-founded Kluster, Cluster, Harmonia and Qluster. There was a musical celebration of his career in Berlin, where he was joined by the great and good of music. They came to pay their respects to a true innovator, who has released over 200 albums. This includes Imagori, his collaboration with Swiss born composer and Christoph H. Mueller. It was released by Grönland Records in September 2015. 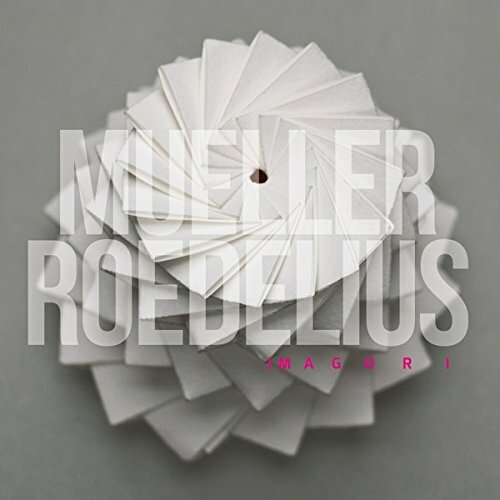 Using the latest technology, Mueller-Roedelius recorded Imagori, an album of genre-melting music. Om Imagori, Mueller-Roedelius combine elements of ambient, avant-garde, classical, electronica, experimental, industrial, jazz and even techno. The music is variously captivating, cinematic, dark, dreamy, dramatic, ethereal and moody. Much of the music on Imagori is like the soundtrack to a film that’s yet to be made. Some of the tracks have a futuristic sound, and wouldn’t sound out of place on the soundtrack to a sci-fi movie. An alternative title to Imagori, could’ve been Music For Films. However, Brian Eno got their first. Imagori however, is the perfect title. The music on Imagori conjures up images in your mind’s eye. It’s easily to visualise scenes unfolding before your eyes. Suddenly, the listener is directing their own film. All they need to supply is their imagination. They’re soon providing the film that’s yet to be made, while, Mueller-Roedelius supply the soundtrack, Imagori. When Omar Souleyman released his debut studio album Wenu, Wenu in 2013, it was to widespread critical acclaim. Critics and cultural commentators were won over by Omar Souleyman’s unique and irresistible sound. His songs were played on radio and remixed for the dance-floor. Suddenly, Omar Souleyman was well onto his way to becoming a musical phenomenon. Two years later, and Omar Souleyman celebrated the fortieth anniversary of his first professional appearance with the release of his sophomore album Bahderi Nami. 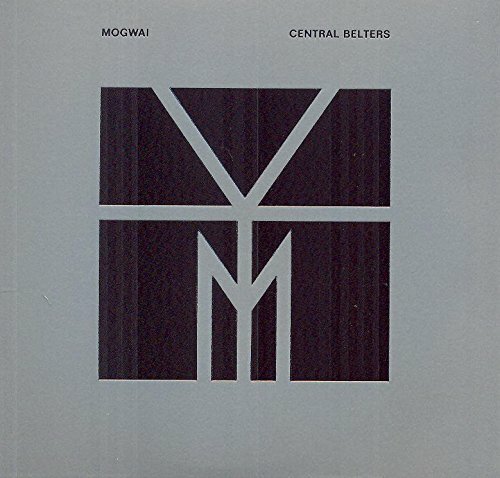 It was released on Monkeytown Records,in July 2015. On Bahderi Nami, Omar fuses everything from Arabic, dance, electronica, folk, funk and soul. The three producers and remixer add elements of Acid House, tech house, and techno. Somehow, this musical melting pot of disparate and eclectic sounds produces a tasty and tantalising dish, one that should be tasted be music lovers everywhere. Especially, if they’ve never been introduced to the delights of Omar Souleyman. It’s impossible not to be captivated by Omar Souleyman’s voice. As he sings in Arabic, his rasping vocal veers beteen worldweary, lovelorn, heartfelt and heartbroken. This man of few words, Omar takes the music of Syria’s past and reinvents it. 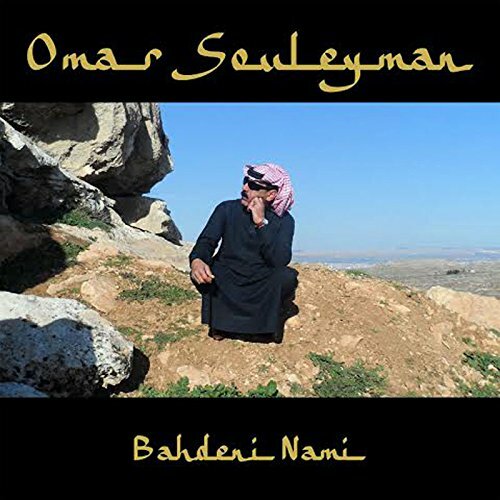 The result is Bahderi Nami, a delicious fusion of Arabian and Western music from Omar Souleyman. 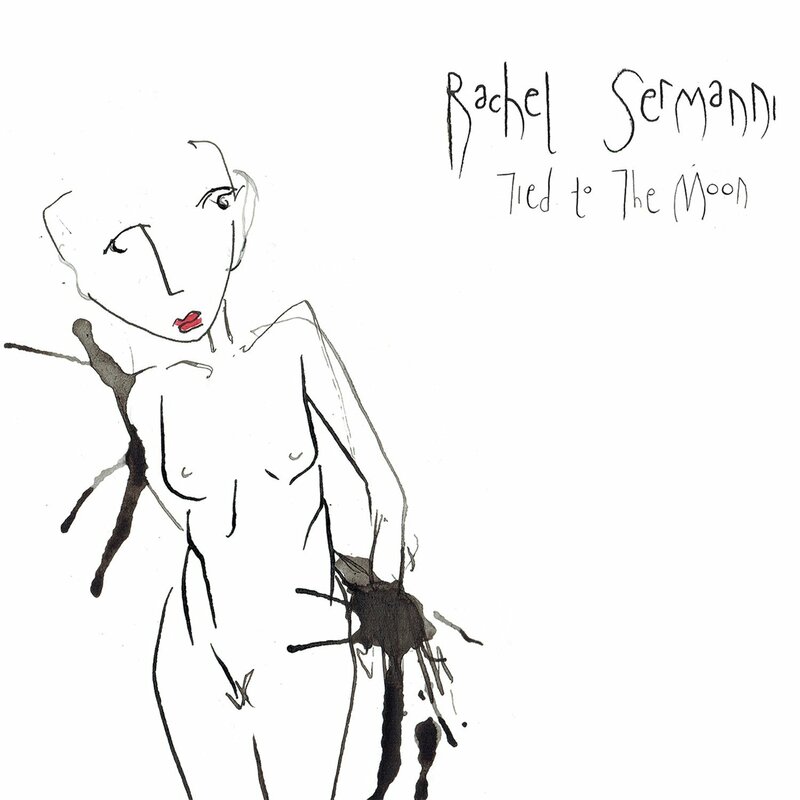 RACHEL SERMANNI-TIED TO THE MOON. Three years have passed since Rachel Sermanni released her debut album Under Mountains in 2012. It reached number twenty-six in Scotland, and number twenty-three on the British Indie charts. Considering Rachel wasn’t signed to one of the bigger indie labels, this was a successful debut album. Her debut album was heard far and wide. Since then, the followup to Under Mountains has been eagerly awaited. The wait was over when Rachel Sermani released Tied To The Moon earlier this year. At last, Scotland’s Queen of Nu Folk was back. She was joined by a talented band and Colin McLeod of Mull Historical Society. He produced Tied To The Moon and brings out the best in Rachel. Colin frame’s Rachel’s vocals with arrangements that veer between country, folk, pop and rock. Often, there’s a twist in the tale or a surprise in store. None more so, than on Tractor, which has single written all over it. Other times, Rachel seems to have been inspired by everyone from Bob Dylan, Tom Waits and Van Morrison, right through to Eva Cassidy, Joni Mitchell, Suzanne Vega, Bjork and P.J. Harvey. Their influence can be heard throughout Tied To The Moon. So can the traditional Scottish music Rachel Sermanni grew up listening to. It has influenced and shaped Rachel Sermanni as a singer and songwriter, as she makes the next step on what will surely be the road to stardom on Tied To The Moon. Despite Still being Richard Thompson’s twenty-fifth album, he’s still determined to reinvent himself musically. So, for Still, Richard Thompson brought onboard Wilco’s Jeff Tweedy to produce Still which was released on Proper Music. Jeff Tweedy brought new ideas to the table, and resulted in a quite different album from the folk-rock veteran. At Jeff’s Chicago studio, The Loft, he and Richard combined elements of Americana, country, folk, folk-rock, jazz and rock. Seamlessly, these elements are combined by Jeff Tweedy and a small, but tight and talented band. 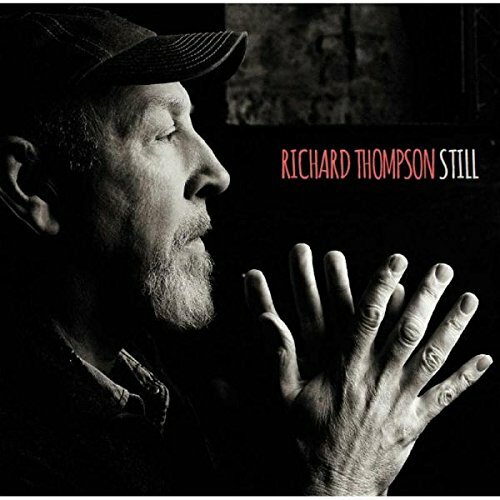 They provide the perfect backdrop for Richard Thompson on Still, as he showcases lyrics that are cerebral, heartfelt, humorous, incisive and insightful. When Richard Thompson’s lyrics were combined with Jeff Tweedy’s musical backdrop, the result is Still, an album that shows that after six decades making music, he’s still relevant musically. Long may that continue to be the case. ← THE BEST 55 NEW ALBUMS OF 2015-PART FIVE.